I know I am quite late in reviewing Taco Bell, but here it is for those of you who haven't tried it out yet. Well, the stuff out here is quite good but not really filling. We consumed like 4 dishes plus a large Sprite between just the two of us. I would say it is more of an indulgent snacking option than a proper meal. The Quesadillas were nice and cheesy. The Cheese dominated and couldn't really taste the vegetables much. I loved the Burrito! The zesty flavour of the spread and the beans get a thumbs up from my end. 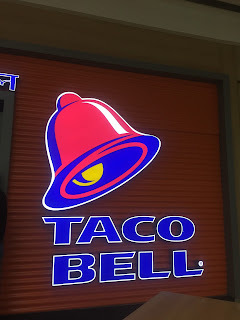 The Signature Taco was just fine. I think we all have a problem with eating a Taco as we always tend to drop things here and there and smear our faces with the foodstuff! 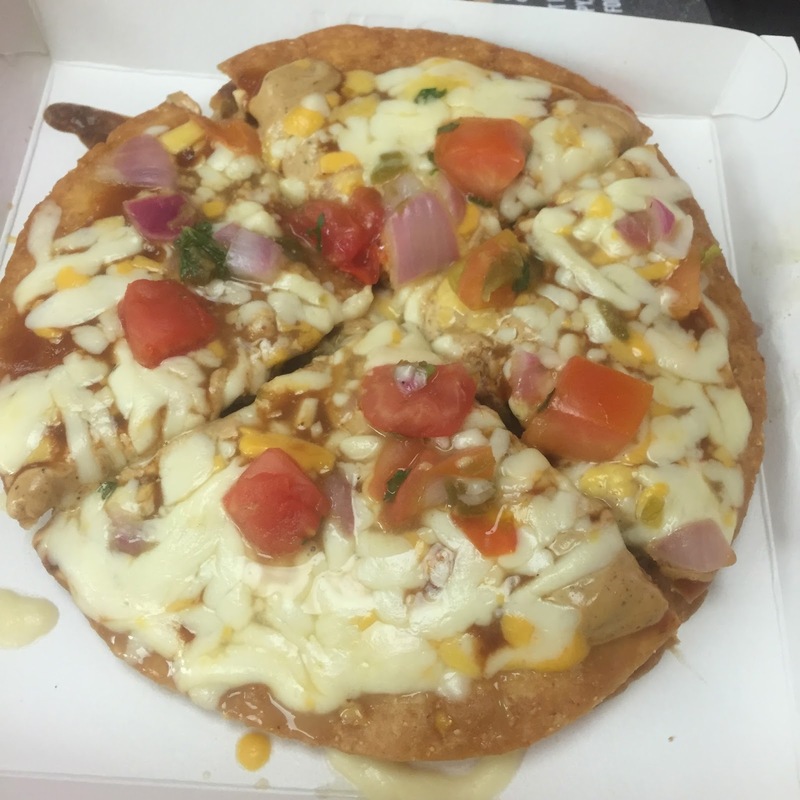 Now the Mexican Pizza was the best of all. I loved the taste of it and also I am charmed by the way it manages to make you feel light even after all the cheesy delight it has. 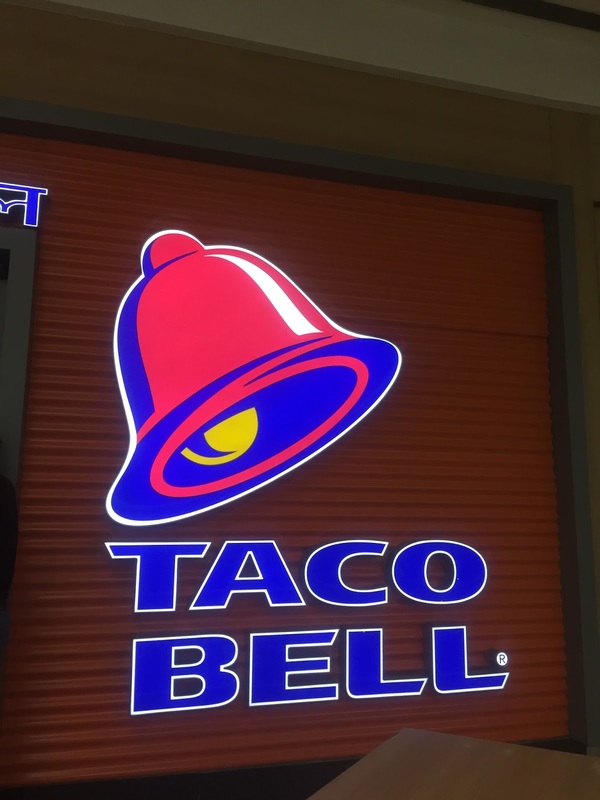 All in all, Taco Bell is a must try! Probably you can try out their stuff while shopping at Oberoi Mall, Goregaon. You'd surely love it!